Did you get in a vehicle today with your kids? Maybe you took a short trip to the store, a soccer tournament or piano lessons. Are you missing the opportunity to share intentional time with your homeschoolers for your next learning adventure on the road? Can you carve out a day trip here or a weekend there, where education meets adventure? You may have heard about it and probably thought it was crazy. 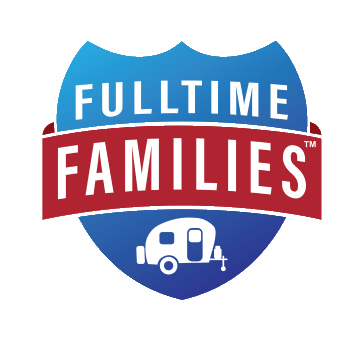 There is a whole community of traveling, homeschooling families out across America roadschooling their kiddos. Guess what? You can roadschool, too, no RV needed. Roadschool experiences exist in all those famous places: Mount Rushmore, The Statue of Liberty, The Golden Gate Bridge. But roadschool opportunities also occur all around us in state and national parks, nature preservess, museums and wildlife centers, even right in your own backyard. Finding these opportunities is not important. Discovering them is the key! What do donuts, the Salvations Army and WWII have in common? Take a learning adventure about National Donut Day and a field trip to the donut shop on the first Friday in June to find out. Does a National Park exist in your state that you can harvest a homeschool lesson from? An engaging unit study would put these learning gears into motion that very well may uncover other natural curiosities that are waiting to be uncovered. If home is where your homeschool heart is, model an adventure class or scavenger hunt in your very own yard for your family. Better yet, invite a friend. Adjust the bar. In a world that lives under a microscope, it is easy to feel the pressure from the picture perfect homeschool days on social media. Kick that all to the curb. Examine what is really important to you and make a short list of accomplishments to be attained in the coming months outside the box. Set bite-sized goals for your newly formed roadschoolers to knock out that will do away with the homeschool slump. Shake it up! For future years, make a mental note to stagger your academic schedule in order to being new parts of your curriculum in January. For the immediate future, set the old aside and focus on some new ideas, roadschool ideas! A super easy way to do this is right around the corner. notes or small pieces of paper notes in a jar. Trade ‘Em In. Swap kids! Join efforts with another homeschool mom and trade kids with another family (not permanently obviously!) Sometimes kids behave better for others. Seeing your roadschooler through another’s eyes might enlighten you to something you’ve been missing. It just might be the break you’ve all been looking for. Suspend school. That’s right forget all the school routines and schedules that are in place and go a different direction. Take this time to recharge your homeschool experience with something entirely different, such as Poetry Tea Time or a basket of read-a-loud books to fill the coming days. Find a unit study and use it with multiple ages to see just how far you can take it. Still need ideas? Movie week, spirit week, lunch & learn, stay in, go out! with no purpose in the immediate homeschool plans. This will refresh the materials in your roadschool and put your efforts in a whole new direction! For more resources and encouragement, hit the replay from the library of more than 165 podcasts from the Roadschool Moms library. Mary Beth Goff is a Christian, full-time RVing mom to four roadschoolers. She is also the creator of Road Trip Teacher, the educational resources for your next destination learning adventure. Her Roadschool 101 crew chronicles their travels over at Diary of a Road Mom. As one-half of the Roadschool Moms duo, she hosts a weekly podcast every Sunday night on the Ultimate Homeschool Radio Network.